Well Designed & Easy to Use WordPress Themes. We build WordPress themes that are good looking, super easy to use and blazing fast even on low spec servers. As opposed to the complex and overly bloated multi purpose themes, our products are perfect for SMB owners and web professionals looking to launch their website fast. Our themes get the most attention when it comes to design: each elements is perfectly styled right out of the box and everything is well balanced, for a clean and pleasant layout. Only required CSS and JS files are loaded in the browser, thus making our themes very fast even on 50$/year hosting plans. You’ll be amazed how fast your website will be! 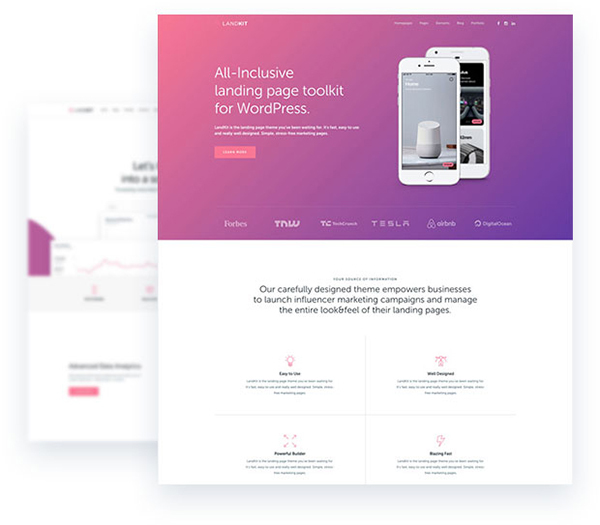 Our themes use Hybrid Composer, which is an awesome but lightweight page builder. It’s got a lot of elements and options and it’s really easy to use, even without coding knowledge. Subscribe to receive notifications for theme updates or new themes. We promise we won't ever spam or give your email away.